Data sources: Landsat-5, Landsat-7 and Landsat-8 satellite imagery. Tools and techniques: Harmonic function, NDVI, NDWI, cloud-removing technique, java programming language. Following table displays total area of mangrove forest by years for different regions/zones in Vietnam. Please take note that those values represent mature mangrove forest area, not the area which were considered mangrove forest. From 1990-1995: Large area of forest disappeared for shrimp cultivation. 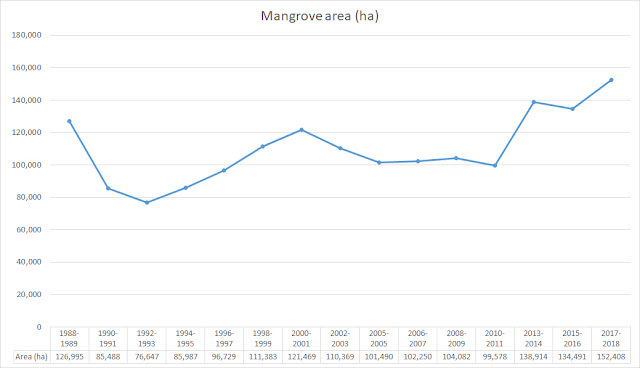 From 2005-2010: After some rise in 2000, a big area of mangrove forest had been cut down for aquaculture again. Only after 2010, the sign of regeneration and newly planted forest could have been noticed. More detail can be found for Mekong River Delta from Table 1, which gives clear elaboration of these notices. 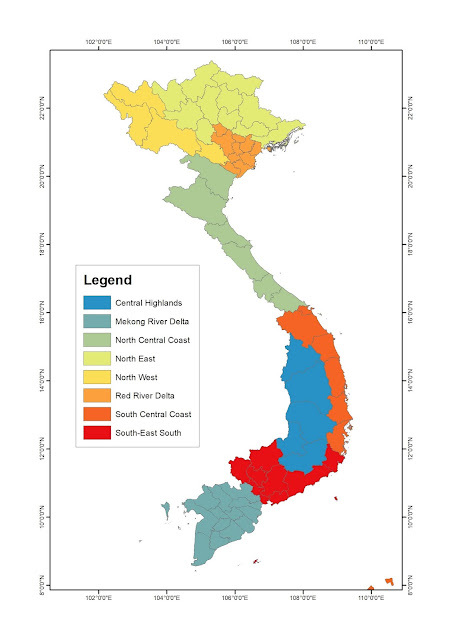 Again, for weekend fun, please play with this WebGIS tool below for your own exploration. Để mình thử xem sao. Thank you.